I’ve been feeling very rural. The next door neighbour has been rearing cutie little chickens. I’ve been watching them hatch. 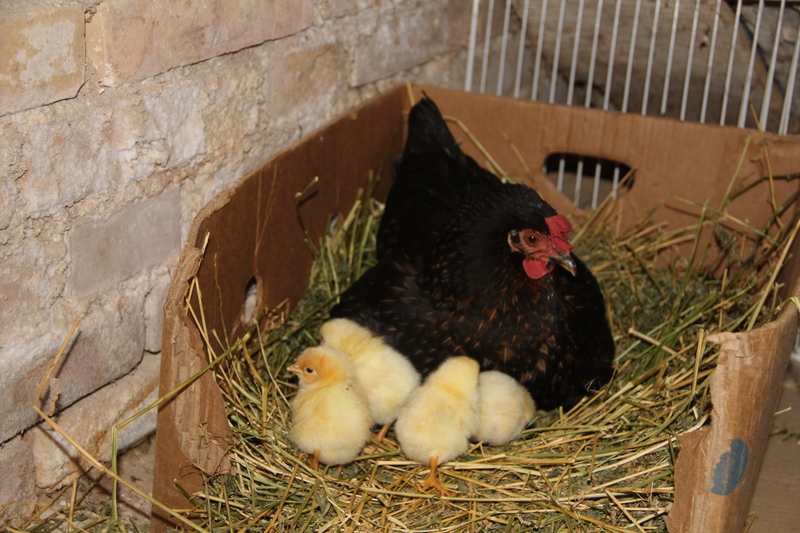 It’s like `One Born Every Minute` but for chickens (and with less screaming, and instead of an epidural my neighbour gives the mum sherry or vino cotto which I think is basically the same thing!). These chicks are a few hours old. And what a pretty loaf I made!!!!!!!! In other bread related news one of the neighbours brought me some of the dried yeast I’ve been searching for here, though it says on the packet it’s only for pizzas and focaccia (how does the yeast KNOW that?! 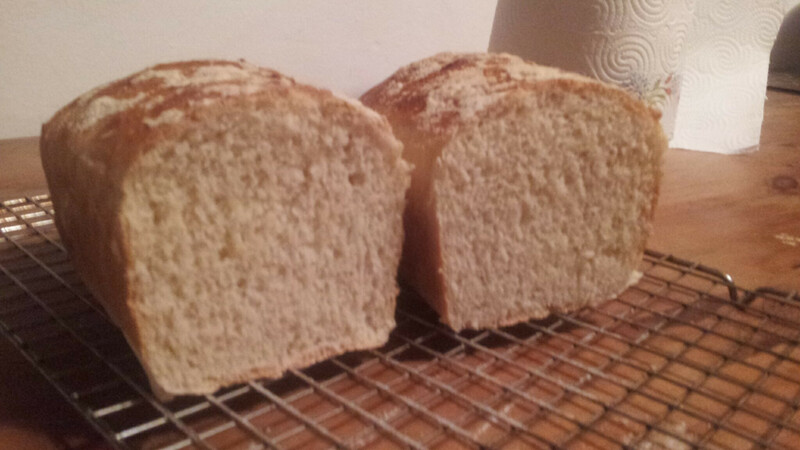 If you put it in a normal loaf will it stubbornly decide not to rise?!). 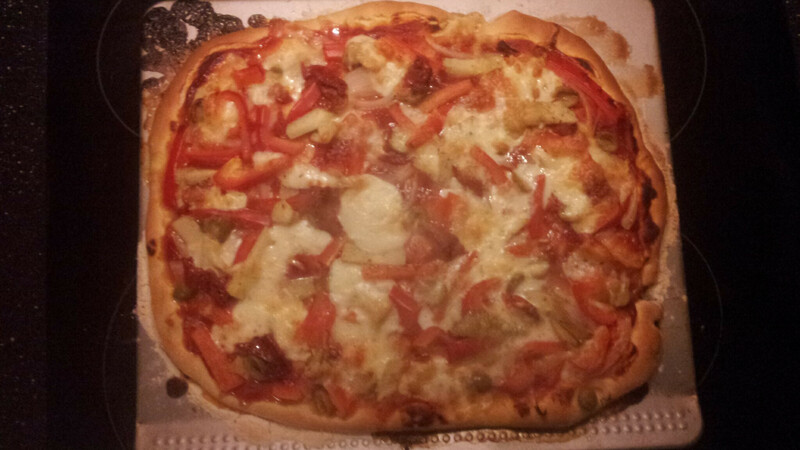 The pizza went reasonably well I think too. Apparently the base wasn’t crispy enough and the tomato sauce was too sweet. Some people can never be pleased. I very much look forward to Pane Caldo’s efforts. 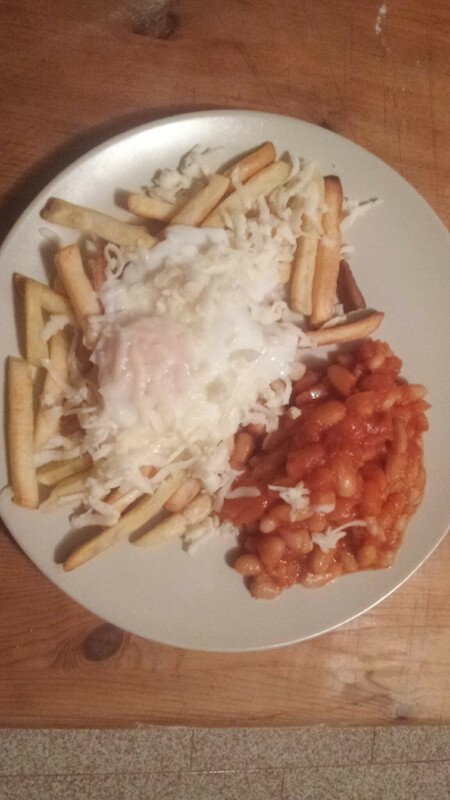 I have produced a reasonable interpretation of Heinz Baked Beans. They have to import the genuine article here and it’s a rare find and only ever in the big supermarkets. They’d be more readily available and probably cheaper if I hired an actual Heinz Baked Bean chef to be on permanent stand-by, hence trying to make them myself. I’ve found a course! Continually doing courses is something I’ve missed greatly about not being in the UK so I was thrilled to find this font of free online courses at http://www.edx.org. I’ve picked what seems like quite a fluffy course: “The Science of Happiness” but it’s founded in years of research and studies and it’s absolutely fascinating. So now, in between thoughts about bread, I’ve been posing myself in-depth philosophical questions. 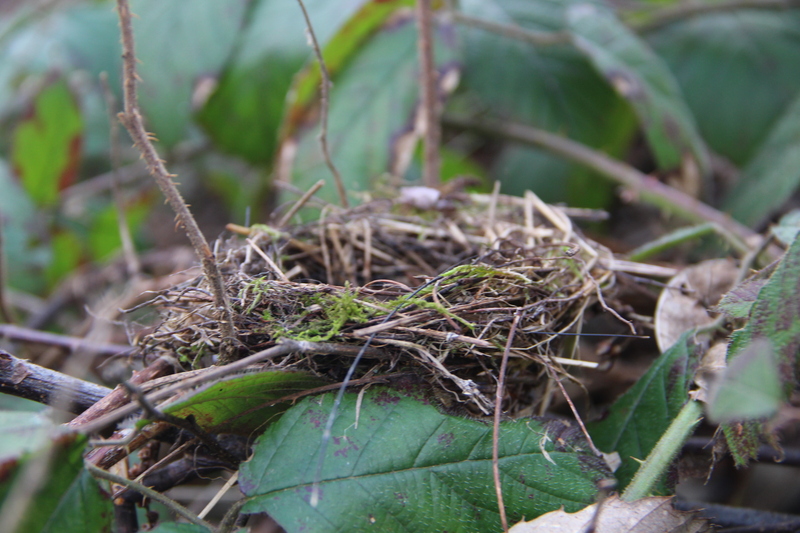 It’s quite a remote path, demonstrated by the cute little birds nests in the hedges along the path. Beautiful countryside. This house has a couple of dogs outside in a not very clean cage all day. I’m considering mounting a “Free Doggy” campaign. Monte San Martino Forgetting that I’ve already been to Monte San Martino, I decided we should go to Monte San Martino. 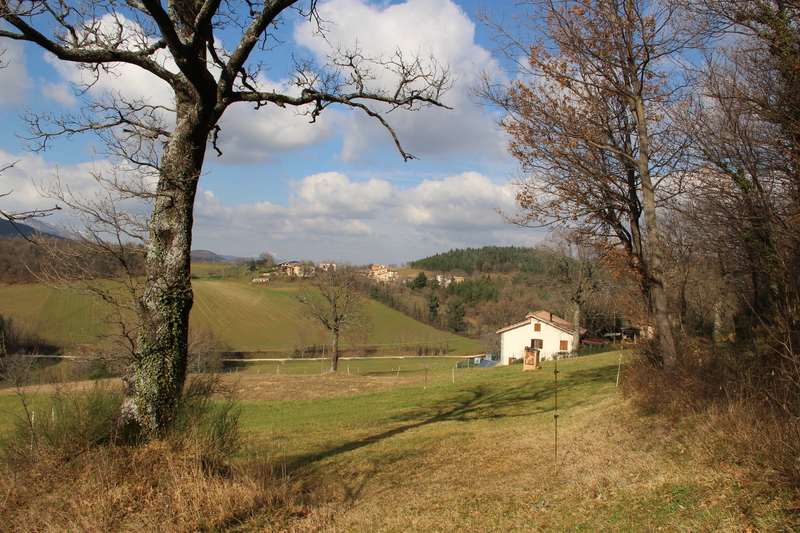 It’s a quaint little hill top village with beautiful views of the local area. Unfortunately we went there during one of the constantly rainy days so we didn’t see as much as we’d hoped. I know animal watch has been a bit quiet of late. Here’s the resident animal watching the film ‘Ice Age’ (ignore the mess!). He doesn’t usually watch TV but I think he quite likes animations! 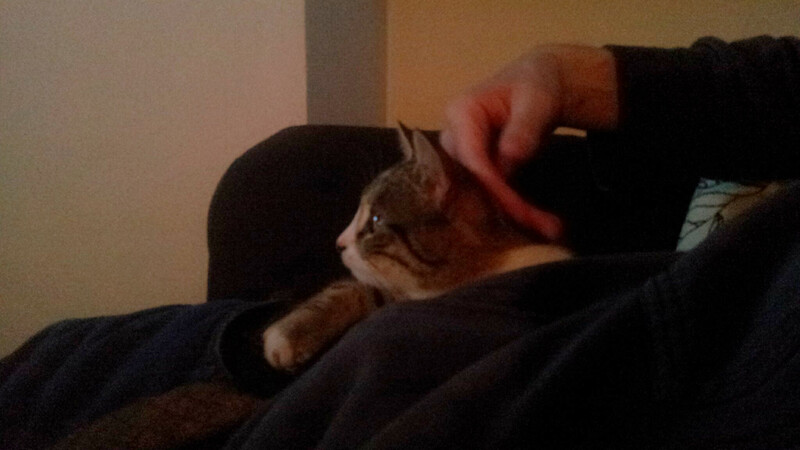 The cat took a liking to Ice Age and spent a few minutes doing his meercat impression. I think if he was a cinema goer, he’d go straight to the front seats. And then it got a bit scary so he retreated to the sofa for comfort. I think that about sums up this week. I’ll report back next week – probably with with more bread updates ! Hi Sue. We spoke a while ago about dehumidifiers – wow! That made such a difference, thanks for the tip. 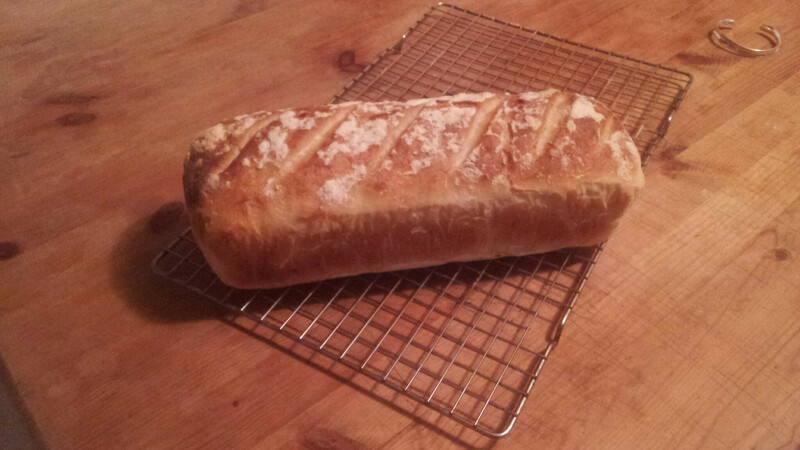 Your bread looks fab, well done you! The bread here is awful, isn’t it. I seem to spend half my time trying to find decent bread for toast, a slight exaggeration but it feels like that sometimes. Our house build is progressing well now, although shopping here is a job in itself. I didn’t think I would find shopping anywhere difficult – the cunning plan behind my husbands desire to move here probably. But shopping for bathrooms and kitchens has been quite a torturous process, especially as shops here don’t seem to care much whether they get your business or not! Having said all that, I think we made the right decision in moving here. 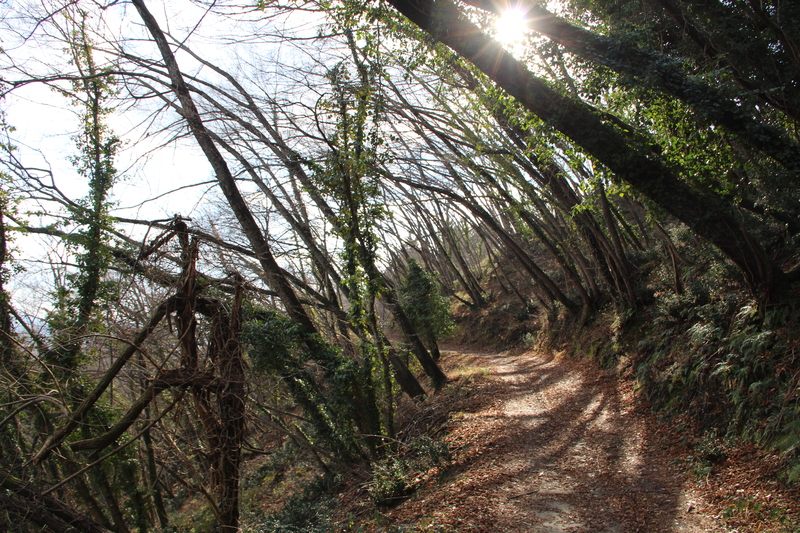 The Ligurian coast is beyond beautiful and everybody here is very nice and friendly, despite their reputation. When we finally move into our house and all our stuff arrives, I intend to take a leaf out of your book and make my own bread. I dabbled a bit before leaving the UK, I just got a bit fed up with all the kneading, but I have all the books etc. I need. Can you buy fresh yeast here? They must use it in the bakeries. I have found dried yeast without a problem. The first time I went back to the UK, I came back with a suitcase full of custard powder, marmite, baked beans, marmalade (Seville orange obviously!) and lots and lots of cheddar! The thing I miss the most. How ridiculous am I. They sell Wilkins jams in a shop here, but they start at €8.00 and finish at €23.00!! Anyway, I need to learn to let go… I guess that just takes time. 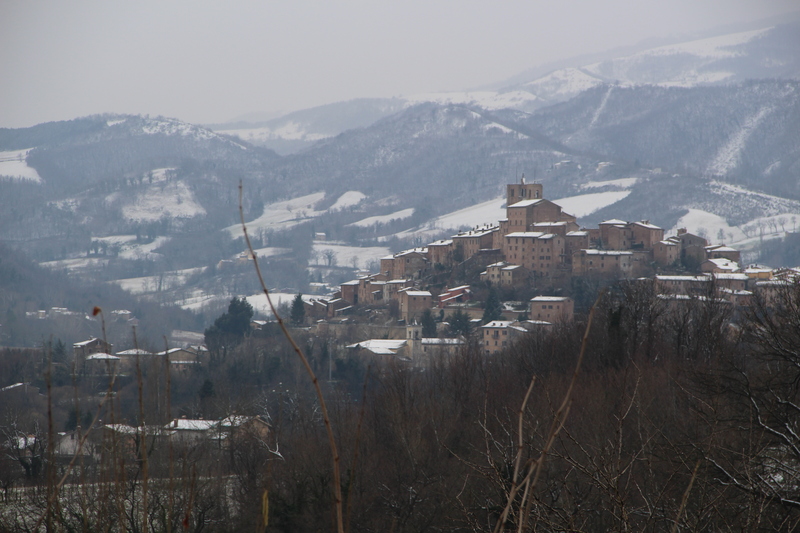 Love the snowy photo at the end of your blog – is it Sarnano? Also your bread looks great, well done! I remember making myself slice the entire Italian loaf on the day it was purchased, since it was inevitably and completely ‘un-sliceable’ by the next morning!! 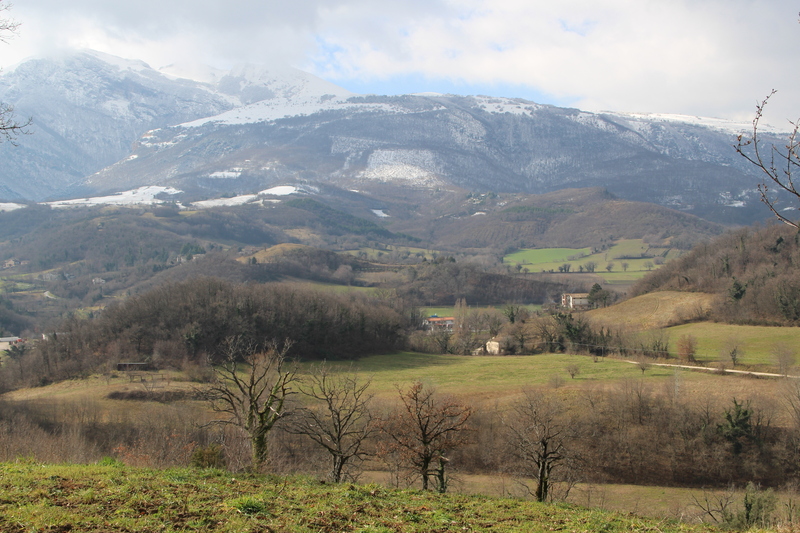 I’m really enjoying reading about your adventures in Le Marche. I live in Australia now and it’s like ‘being back there’ when I read your blog – thank you! Sorry for the silly delay! I keep losing comments! 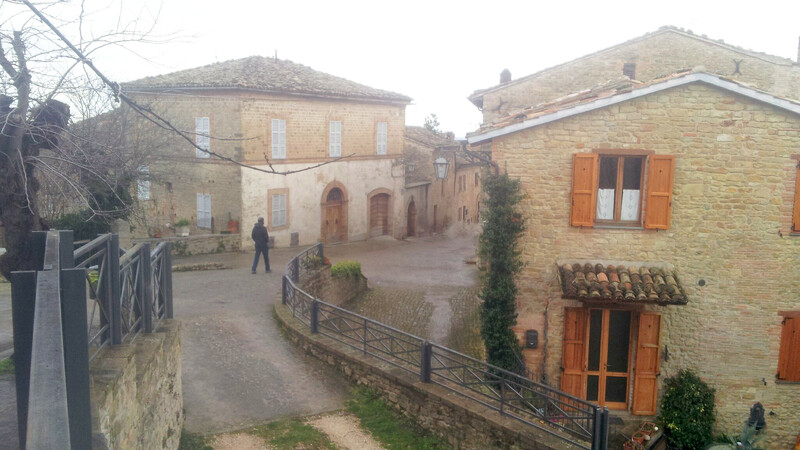 Yes, it’s Sarnano – it’s looking absolutely beautiful at the moment. 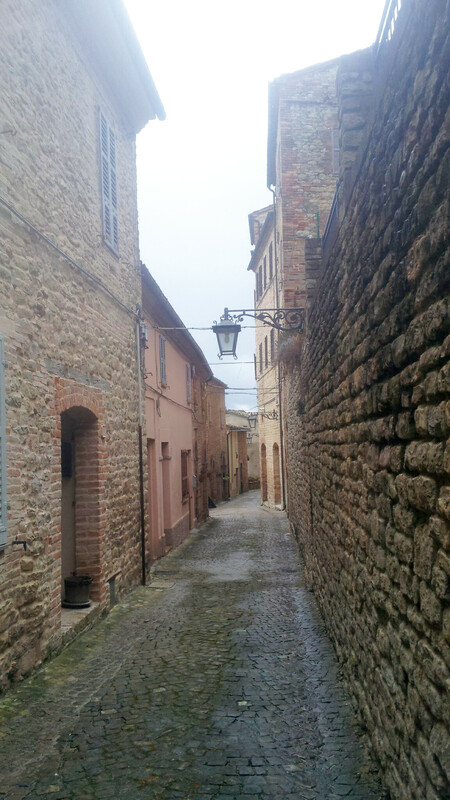 Did you ever come here when you were living in Le Marche? Australia seems like a pretty good swap though 🙂 Great tip with the italian bread slicing before it gets rock solid! My bread attempts are a bit like that at the moment so I can hardly complain – I need to work on the “light and fluffy” concept. I’m so glad you like the blog, it means a lot! Keep in touch. A presto!